With listings direct from the owners, Portuguese property websites, real estate agents and property developers Homesgofast.com is the place to find your Portuguese property. Homesgofast.com which is now one of the world's most established overseas real estate websites with Portuguese property from all over Portugal. Our visitors come from all over the world many with the intention of finding cheap property, low-cost housing, holiday homes, homes for sale privately from the owner, investment properties, villas, golf property, beachfront homes, and second homes abroad. "Compare Algarve properties against those that you can find along the Silver Coast of Portugal. Increasing numbers of people who are in search of cheaper Portuguese properties find what they want along this coast line. The area is well served by transport links as well-served by flights from Faro – it’s reached by motorway in just over an hour from either Porto or Lisbon airports meaning you can use a wide range of airlines to get there. Cash buyers always win better prices and after finding your dream property in Poortugal you will be in a better position to obtain the best possible price for your Portuguese home." Where are the best places to buy property to buy in Portugal? Our international buyers are people that are motivated and many needing find an international real estate for investment, relocation, moving abroad, retirement and to buy holiday homes abroad. Used by thousands of people each day we are the place for people looking to invest abroad or make the move overseas. We have thousands of buyers receiving our property alerts and are putting buyers and sellers together everyday. Portugal’s Silver Coast, a stretch of spectacular coastline that runs for approx 150 km north of Lisbon up towards the fishing town of Nazare, is now a popular second home destination for British buyers in search of ‘the real Portugal’, since this area offers exceptional value in terms of property prices, a low cost of living and a growing expat community. These days it’s as well-served by flights as Faro – it’s reached by fast motorway in under 70 minutes from either Porto or Lisbon airports, (the region is a three hour drive from Faro airport – with TAP, BA, Easyjet and Ryanair flights too choose from. Present your property well by using good quality photographs. When writing your description always include how close the property is to major transport links such roads, stations and airports. Always consider who the buyer might be. 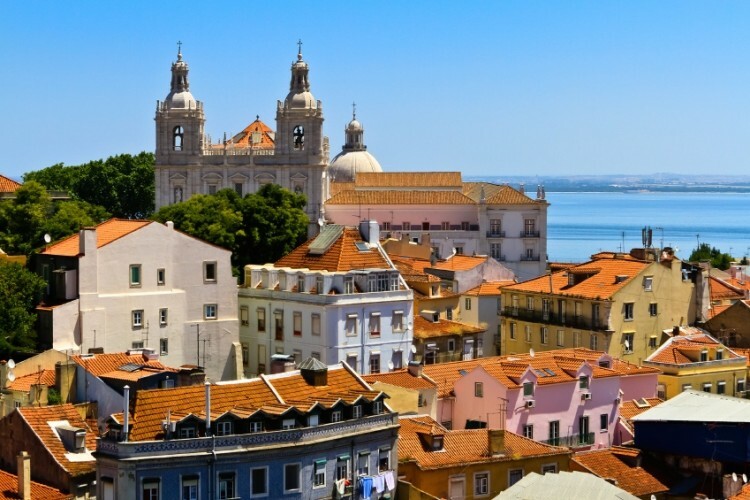 Offer Golden visa advice and Portuguese market trends to those driven purely by investment. Many overseas buyers buy property as a second home or investment. In this case think about what the property would offer an investor and holidaymaker. Never over price to test the market! This is one of the biggest mistakes owners make when the sell a property online. Buyers will always compare one property against another and the internet makes this easy to do. Always invite people to make an enquiry so they can learn more about the property for sale. Finally consider taking a video of the property to show potential buyers so they can see fully the property. The legal and other procedures relating to the sale and purchase of property are different to those in the UK, so it pays to research in advance and to take legal advice in order to avoid difficulties and possible disputes later on. You are strongly advised to consult a lawyer who is experienced in land law and property transactions. Make sure he/she is registered with the Law Society. An increasing number of notaries offer an independent property purchasing service, known as Casa Simples, Casa Segura (information in Portuguese only). Notaries in Portugal are trained lawyers and those offering this service can give legal advice and assist with the procedures for purchasing property, registering the title deeds and paying the relevant duty. If you are considering purchasing a coastal, river or lakeside property, you should ensure it is not affected by the 2005 Water Resources Law. A lawyer or notary will be able to advise you on this. One of our top tips to people selling and buying a property to people from another country is to research currency exchange methods. Property transactions are all vulnerable to foreign currency exchange rates and small fluctuation can mean huge losses. To negate this risk its always wise to take the advice of a foreign currency specialists who can book rates, provide lowers fees and better rates than many banks. Unless you are buying direct from a developer, before the purchase can go ahead you'll almost certainly need to open a bank account in the destination country. The aim is to ensure that you get the best exchange rates and that the funds are in the right place when they are needed. Homesgofast.com has been successfully putting buyers and sellers together online since 2002! Our listings are promoted on multiple property websites. WE have a huge niche audience many of which arrive at our site by searching ‘Homes Go Fast”. Consistently popular property searches made by overseas buyers seeking Portuguese property at Homesgofast.com include: property in Portugal silver coast, property in Lisbon, buying property in Portugal, cheap property in Portugal, villas for sale in Portugal, house for sale in Portugal. Portuguese (official), Mirandese (official - but locally used). A handshake is the typical greeting. Friends will often hug each other. Relatives or close female friends kiss each cheek, beginning with the right cheek first. First names are used for friends, youth, and children. Otherwise, a title is used with a surname to address an adult.